than a hole through the woods ! Wilderness Property Management Inc. will design and build trails and paths to meet the client's preferences and the needs of the intended recreational use. Low impact wilderness techniques will be utilized to create a natural and efficient skiing, hiking or biking experience. 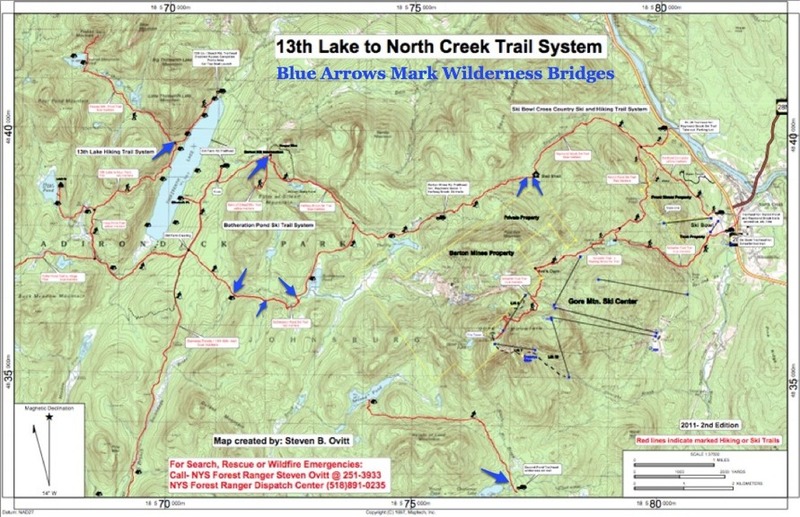 This map shows a cohesive trail network containing 30 miles of high quality ski trails and hiking paths which was designed and constructed by Steve Ovitt founder of Wilderness Property Management Inc., with the assistance of the Siamese Ponds Wilderness Trail Improvement Society.